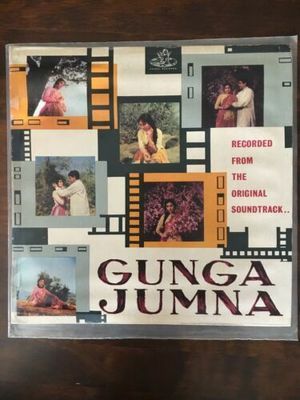 1st Edition of this impossible to find BOLLYWOOD LP from 1961. I have never seen this on EBay myself. This is one of the most accomplished and beautiful soundtracks showcasing a mastery from these great singers and complimenting a classic film. A very fine example of a 58 year old record. The vinyl is almost blemish free and will not disappoint. Graded as looks near mint and plays perfectly. The sleeve is almost perfect but has some signs of wear and has been taped on the sides as can just be seen in the photos. However these are very minor and there are none of the usual shop stamps or writing, as is visible in the photos.